Twist-on connectors are placed on the stripped cable and finger tightened. universally for satellite television and cable modems, usually with RG-6/U cable or, in older installations, with RG-59/U cable. GHz. 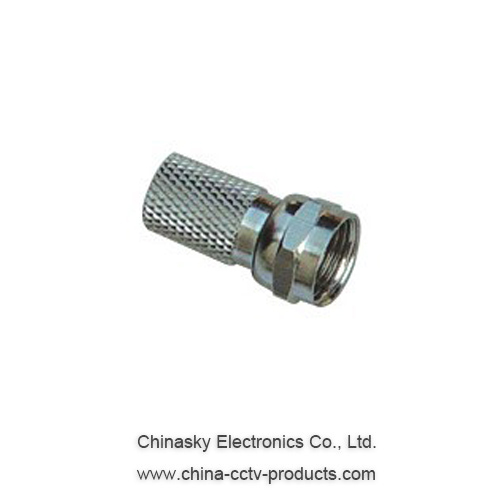 Most male connectors have a matching threaded connecting ring, though push-on versions are also available.